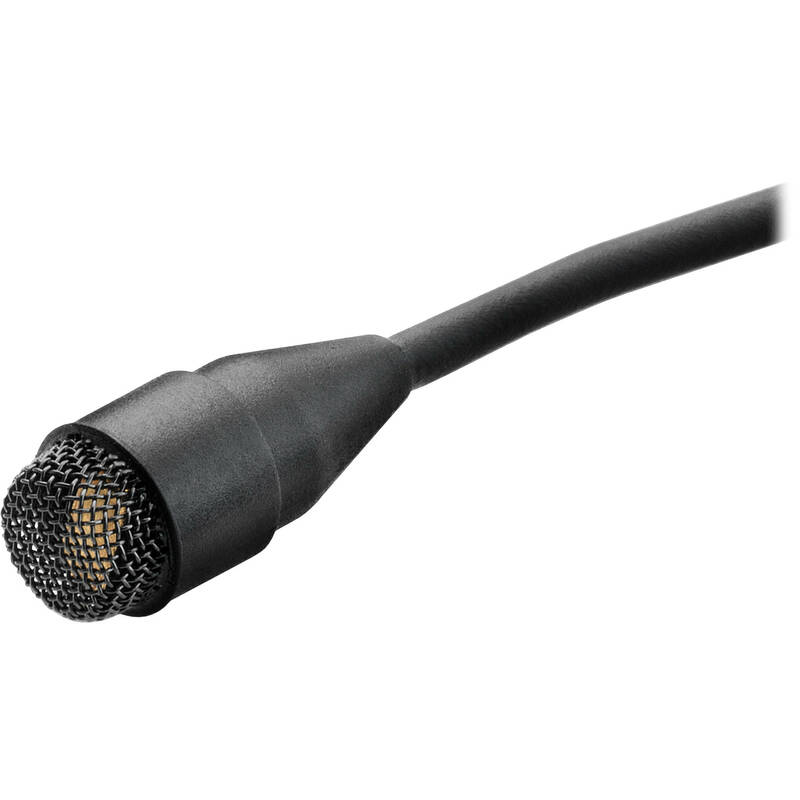 The black d:screet mini 4061 Miniature Omnidirectional Mic with a Microdot Termination with a 3.5mm Locking Connector for Sennheiser Wireless Systems from DPA Microphones is designed for unobtrusive use in television and theater applications. The mic can also be used for close miking string instruments such as violin, guitar, bass, viola, or harp. It is acoustically identical to DPA's 4060 but with an output sensitivity adjusted for more sensitive transmitters. The mic features a neutral sonic character that is designed for accurate reproduction of your source audio with no coloration. High- and soft-boost grids are included, allowing you to alter the 4061's tone based on its placement.